CheckAdvantage Will Match Any Laser Check Format Free of Charge! 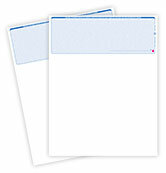 Simply provide us with a sample. 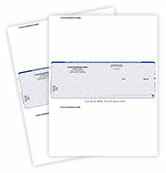 Laser checks from Check Advantage make business quick and easy! 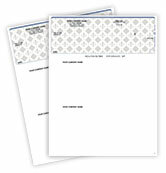 Besides being convenient, they're clean and professional looking. 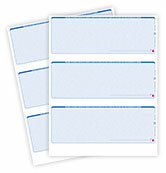 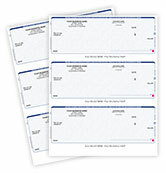 At CheckAdvantage, we offer a complete line of laser checks for your business. That includes the popular QuickBooks & Quicken versions, Blank Check Stock, as well as Peachtree, Great Plains, and Microsoft Money Checks. You'll find our laser checks are compatible with all major business and accounting software programs and work extremely well with both laser printers and inkjet printers. 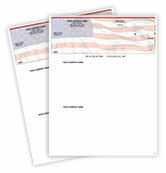 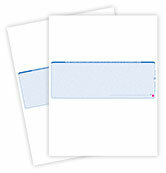 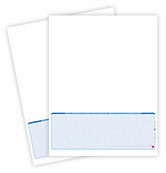 We make sure these and all our checking products meet or exceed the latest American Banking Association standards. That means you don't have to worry - because we guarantee your bank will process them - or we will pay to print a new order. 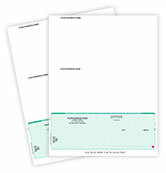 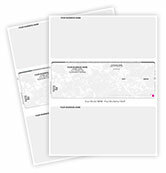 Laser checks come in your choice of 12 different colors so you can match the look of your company, or stay organized by color coding for specific purposes. We realize every business needs different products to keep things running smoothly. 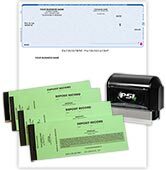 That's why we are happy to offer a wide range of possibilities when you order laser business checks online. 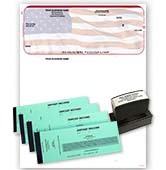 Orders typically leave our warehouse within three business days. If you need your items in a hurry please see our Shipping Rates and Rush Production pages for more information.